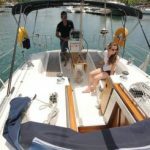 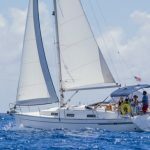 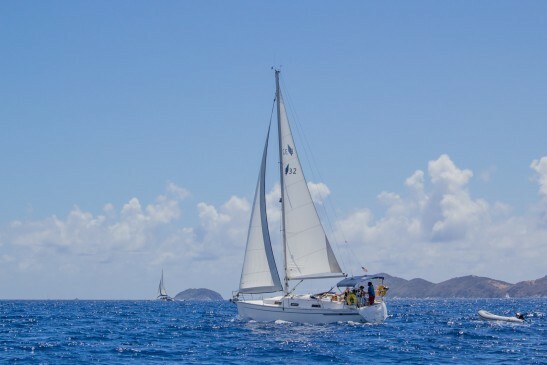 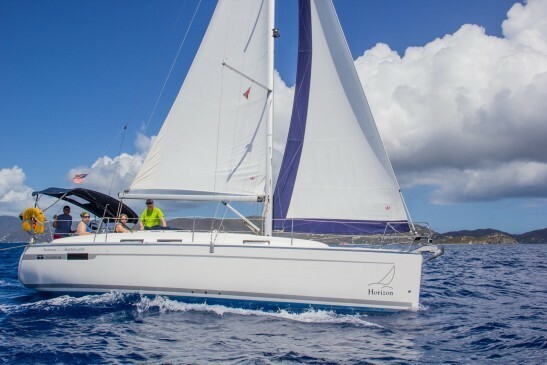 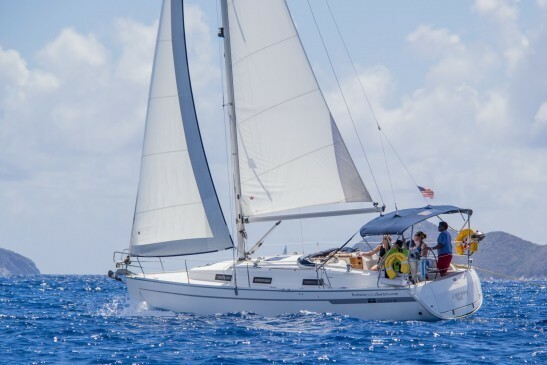 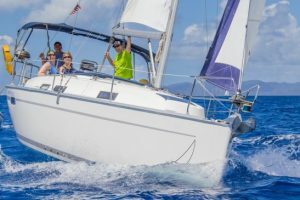 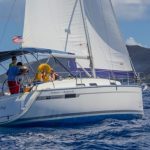 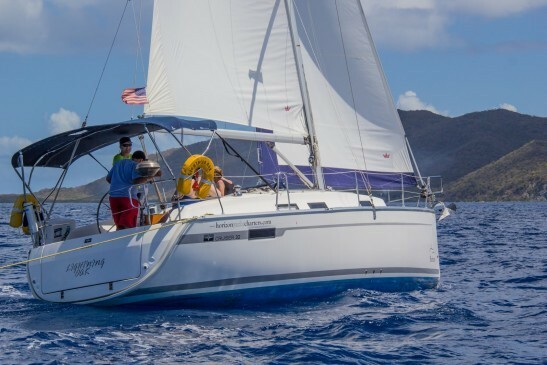 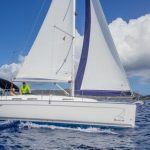 Ideal for two people or a young family looking for plenty of space and comfort on vacation, this Bavaria 32 is easily sailed short-handed as she has a roller mainsail and fast tacking roller jib, and all lines are led to the spacious cockpit. 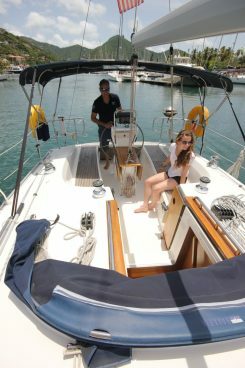 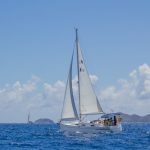 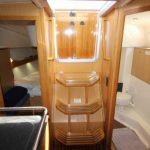 The Bavaria Cruiser 32 features a large swimming platform that is quickly and simply lowered, allowing for easy access to the warm Caribbean waters. 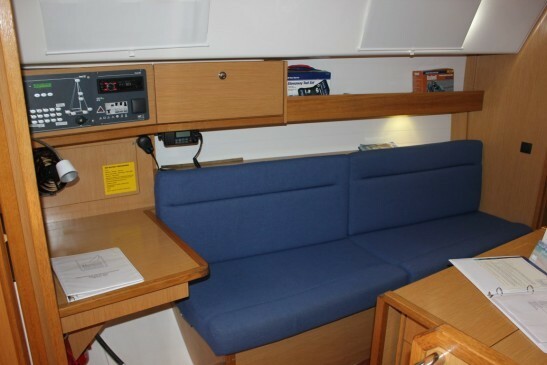 A leader in its class for interior space, the raised coach roof and hatches provide an abundance of natural light as well as 6 foot of headroom. 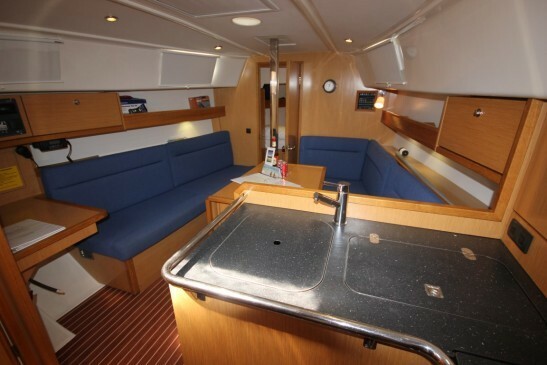 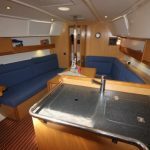 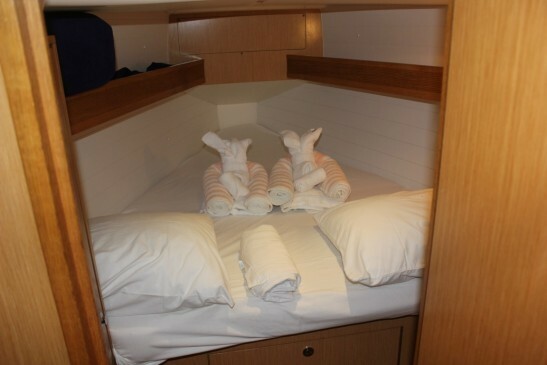 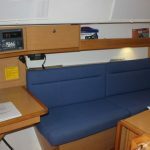 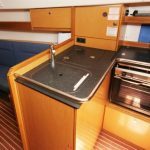 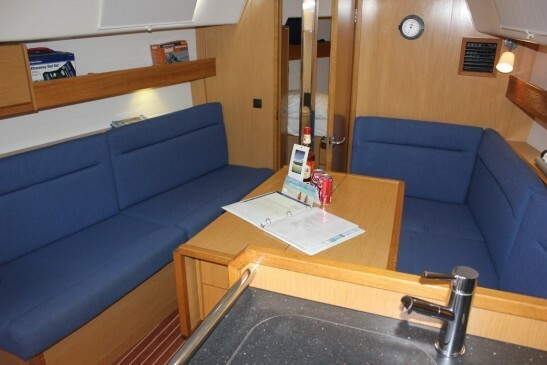 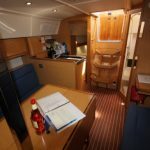 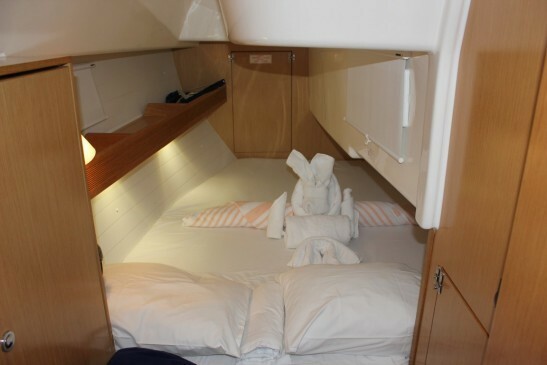 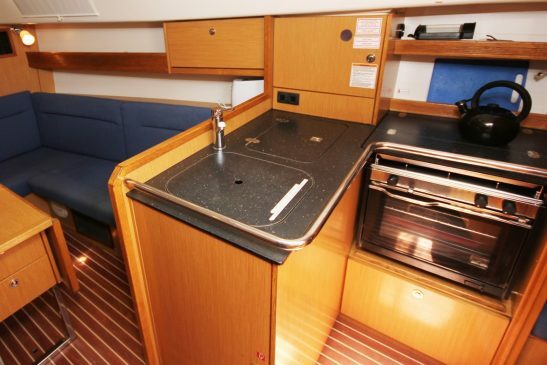 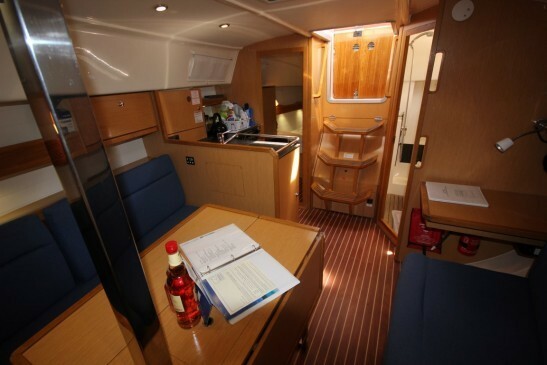 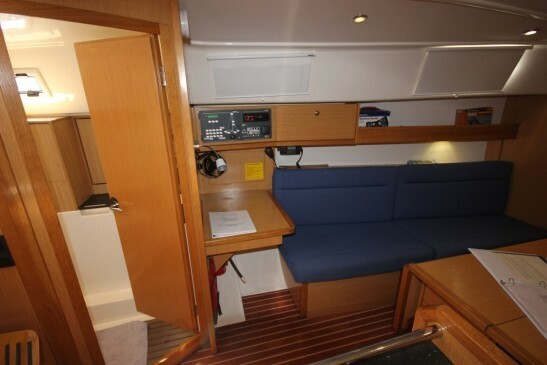 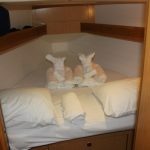 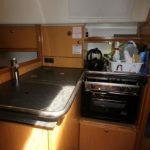 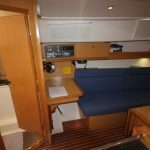 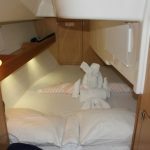 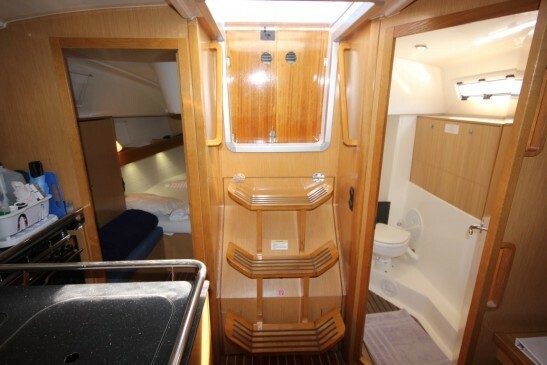 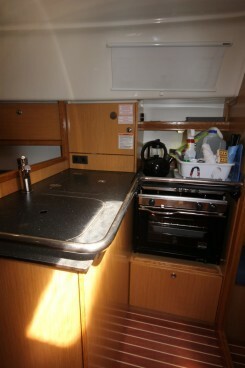 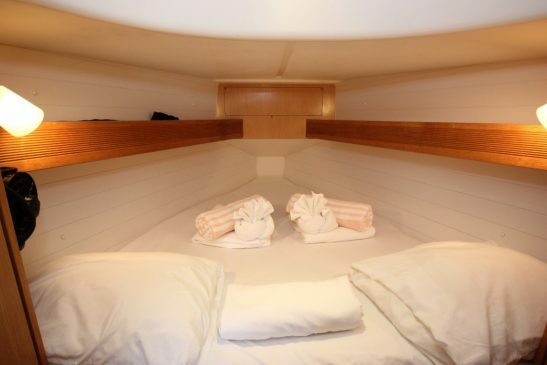 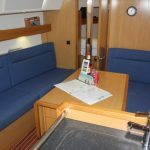 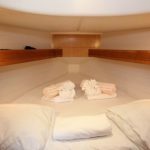 The two double cabins, fore and aft, have accommodation more usually associated with a 36 footer and the modern saloon and galley area are stylishly equipped. 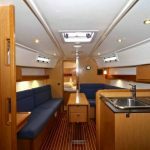 Oak joinery and teak and holly laminate flooring, as well as mocca leather-style upholstery complete an atmosphere of sophisticated simplicity. 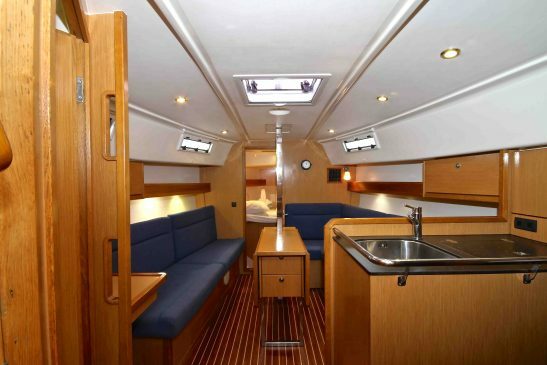 This yacht benefits from shore-side air conditioning.